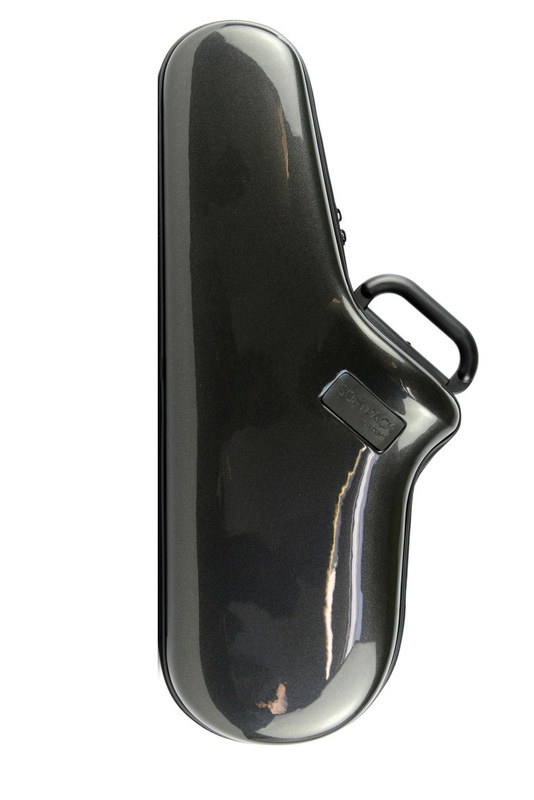 This BAM SoftPack Alto Sax case in black is a lightweight and very sleek option for the travelling Saxophonist. The exterior shell is made from ABS panels with nylon edging. It closes with a zipper and has black soft-touch textured ABS on the inside. There is a sunken accessory compartment, hidden under the saxophone recess. Padded shoulder strap is also supplied. BAM are a highly reputable French case company who make modern professional cases for many instruments designed for the musician on the move.